The new G.James Eagle Farm showroom is not only a showcase of our great products but also an education centre for homeowners, builders and architects. To us it’s important that when building a home, you have the opportunity to consider all your window and door options and also that the correct installation methods are promoted. Visit the Eagle Farm showroom to discover your options, and talk to a professional. 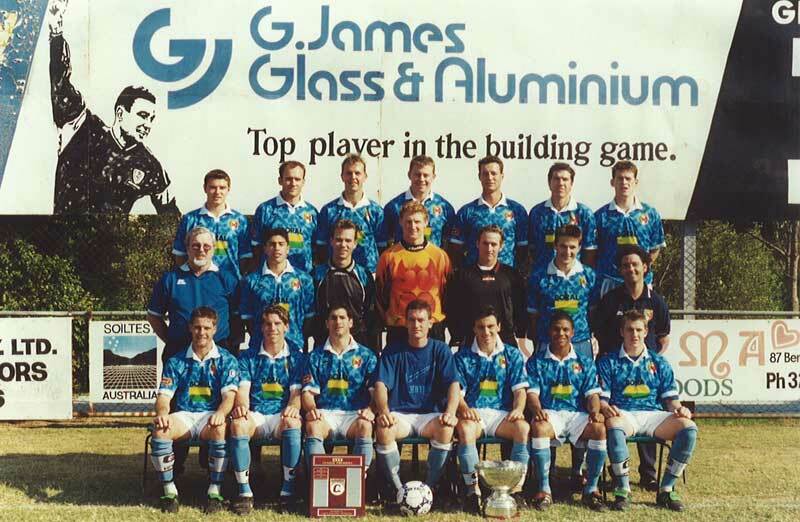 As the Brisbane City Football Club is marking its 60th anniversary, G.James is proud to commit to its continued support of the club over the last 20 years. Brisbane City Soccer Club, now called Brisbane City Football Club as from December 2006, originated in the hearts and minds of a small number of Italian migrants who brought not only their culture to their adopted land but also an undying love for ‘calcio’ (football). After much deliberation, the ‘Azzurri’ Club was founded in 1952 and headquarters were set up at Kedron Park. 2012 marks Brisbane City Football Clubs’ 60th anniversary in Queensland football. Azzurri as we were known then was founded in 1952 by a group of Italian migrants yearning for the round ball game which they followed passionately in their country of birth. The club became very successful in the 60s and 70s filling its trophy cabinet many times over. The late 70s saw the club enter into the National Soccer League winning the Phillips Cup in 1977 and 1978 and were grand finalists in 1979. Today Brisbane City’s home ground of Spencer Park boasts one of the states best football facilities and is enjoyed by both juniors and seniors alike, from many different backgrounds. The club will be running a series of events throughout the year to celebrate its 60th year. The club commenced the 2012 season with a 6-1 drubbing of traditional rivals Queensland Lions, which surely brought back many fond memories of the old Azzurri vs Hollandia days.